NCU526 SNOWMAN. 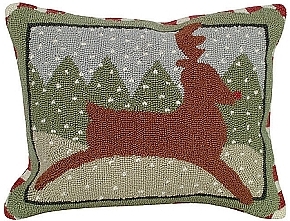 Hand hooked holiday pillow made from 100% wool with a cotton velvet zippered back. 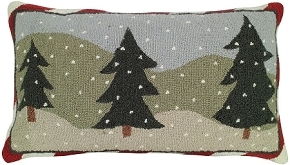 What's better than a snowman just in time for the winter season. 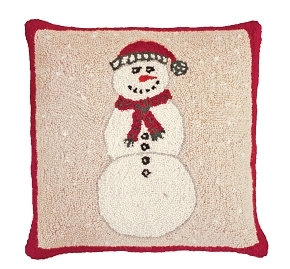 Whimsical snowman wearing his cap and scarf sits on a light red background surrounded by a bold red border. 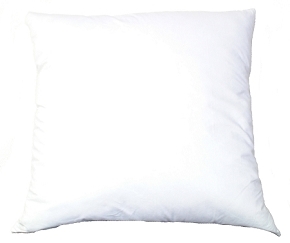 New hooked pillow!